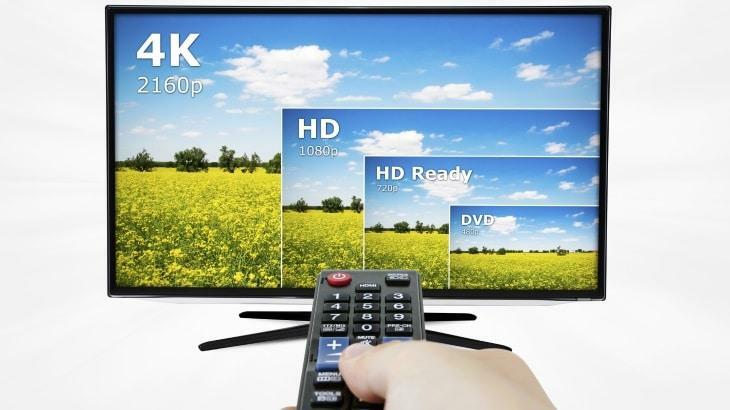 →What is 4K TV and Do You Need It? 4K TV has become the new buzz work in the technological world. With the increase in the number of large tech companies manufacturing them and lowering their costs, it has become affordable for the common man now and not just for the rich and the tech minded audience. For most, which are unaware of the term 4K and keep on asking what is 4K TV, let us explain it to you. 4K, also known as Ultra HD or UHD in short is basically the picture technology that has much higher pixels than in a full HD picture. While on an HD TV you get 1920×1080 configuration, in a 4K TV, you get pixels arranged in 3840×2160 configuration allowing better and clearer picture quality. The new technology will be compatible with HDMI 2.0, while the current standard is HDMI 1.4. When hear about this technology, most people ask experts what is 4K TV and if it is worth buying. Well, the answer is yes, it is worth the money. It offers extra resolution, more detailed images, more depth and much greater color resolution than other TV technology. One gets a feeling watching a 4K TV as if they are not watching television, but are looking through the window. The images are real-life like. Even though 4K resolution improves the quality of pictures in any of the size screen, it works best for larger screens, especially those that are greater than 65-inch. While in HD TVs, experts asked you to sit a little further away from the screen for best viewing, with 4K TV, you need to sit much closer for a better view. Sitting closely not only allows viewers to enjoy the greater resolution, but also block other field of view, allowing a better watching experience. Not just that, if you are gamer and spend a lot of time in front of the TV playing the latest games, you will enjoy the high resolution graphics. But, for that, you will also need a powerful graphic card to compliment it. When you fully understand the feature of a 4k TV or comprehensively know what is 4k TV, you will never want to go for something else. With more and more companies looking into capturing the 4K TV market, the content that truly captures the technology is limited for the general audience. But Sony and many other companies are researching and moving towards creating content for the newest technology in the TV world. At the leading tech conferences around the world, there have been a number of companies working towards offering content to people who intend to move from 3D TV to 4K TV experience. While most people may not currently want to take the leap to 4K TV, its prospects is clearly bright. If you are looking to buy the next generation TV, then you should seriously consider 4K TV. But, you also need to know what is 4k TV? They are not just better than the 3D technology TV available in the market, but offer a much better viewing experience that one can get only in theatres. Currently, most of the 4K TVs by leading tech companies are being offered on a limited quantity and at a premium price. If you were searching for the answer of what is 4k TV, this article would have certainly helped getting you introduced to the 4k revolution. The Vizio is one of the best ones you can get and if you want to get it you can click on our link below.